Here is my last reveal for the November Kit at Scraps of Elegance. 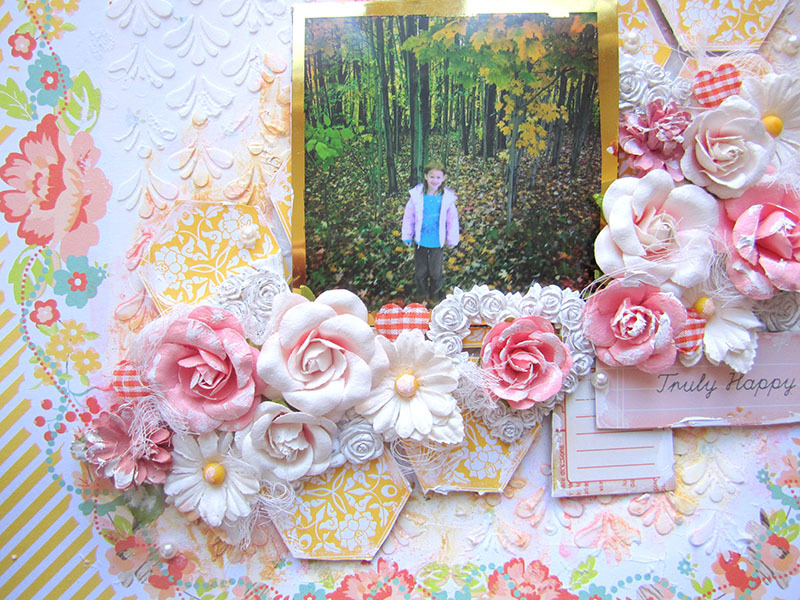 I’m featuring the beautiful Family Tradition papers from Websters Pages. This is a picture of my daughter, taken in our nearby forest at the start of last year’s fall. She loves going in there and exploring her surroundings. 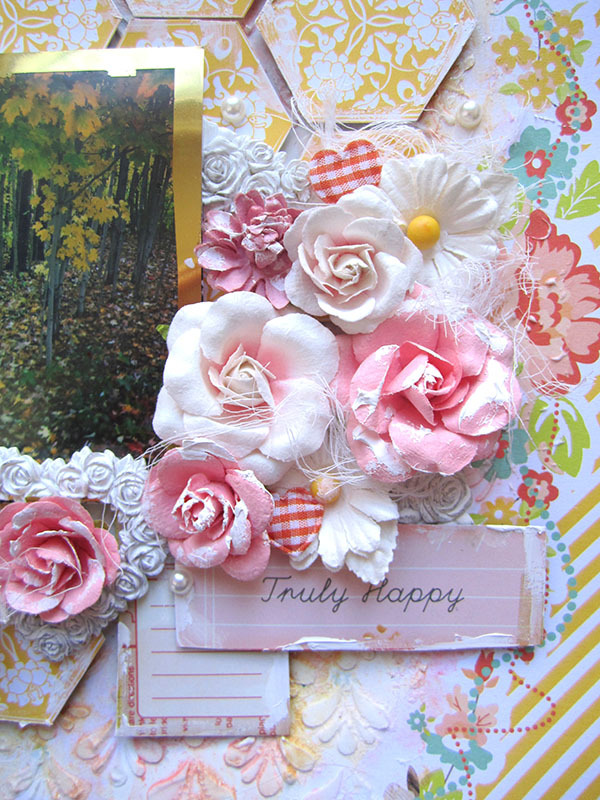 I used many pink and white Prima flowers from the kit to decorate the layout along with a beautiful resin heart. I cut some of the puffy checkered hearts from the trim and added them in between the flowers to create texture and variety!! Have a fantastic day!! yay! Wonderful job, all so beautiful, beautiful flowers. This is gorgeous!!! 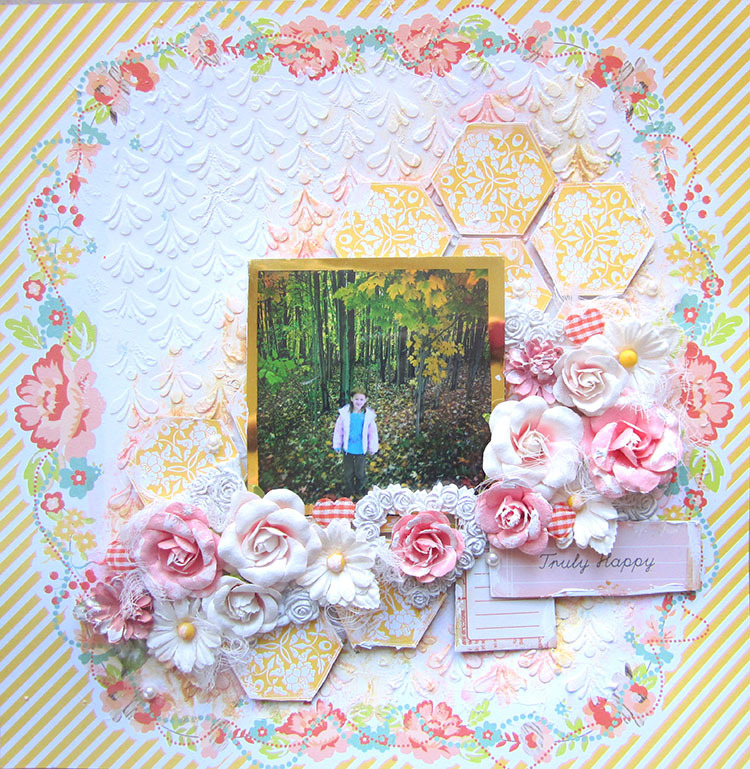 I love love love love the colors, the flowers and the hexagons!!! I love your design on this project, the colors are gorgeous. Oh wow. This is gorgeous! Oh so gorgeous.. love the flow of those luscious roses!! Such a light, bright and cheerful layout, Keren – it's lovely. I would like to show my thanks to you for bailing me out of this type of crisis. Right after looking through the search engines and coming across notions that were not beneficial, I was thinking my life was well over. Being alive devoid of the solutions to the difficulties you’ve fixed through your good site is a crucial case, and the ones which may have badly affected my entire career if I hadn’t noticed the website. Your mastery and kindness in controlling a lot of stuff was crucial. I don’t know what I would’ve done if I hadn’t come upon such a stuff like this. I am able to at this time look forward to my future. Thank you so much for the specialized and sensible help. I won’t be reluctant to endorse the website to anyone who should get guidelines about this topic.